The HVAC (heating, ventilation, and air conditioning) system helps ensure high levels of air quality and the maintenance of acceptable temperatures in your home. 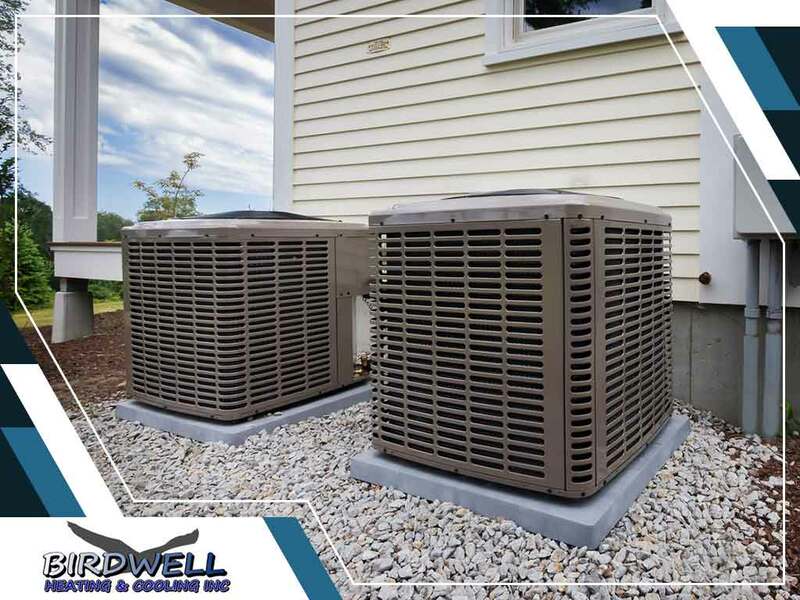 Here at Birdwell Heating and Cooling, we recommend learning about your unit, especially its integral parts and the roles they play. In doing so, you can get the most out of the whole system, making better and informed decisions that would extend its service life. Read further to get to know five of them. Often set on a wall in your home, the thermostat can either be programmed or manually operated. It can even be turned on or off remotely. It is connected to a sensor that detects the temperature inside the room, allowing the system to provide heating or cooling as needed. Ducts transport warm or cool air to the various parts of your home. They then lead to vents, which are rectangular outlets fixed to your home’s walls. They have angled slants that direct treated air towards the room. It is the biggest component of the HVAC system, supplying heat for the home. The heating process takes advantage of various resources, including electric resistance, solar energy, and natural gas or oil use. Often found on the top or side of the furnace’s exterior, it is the opposite of the heat exchanger. Its role involves cooling the air inside the home when the thermostat is set to lower temperatures. These narrow tubes carry the refrigerant to the condensing unit in its gas state. It then reverts back to its liquid form when it goes back to the evaporator coil. Refrigerant lines are narrow tubes made of durable materials like copper or aluminum. These components all work together to make the HVAC system function well. When one of them does not work as intended, you have to obtain the expertise of the NATE-certified technicians of Birdwell Heating and Cooling Inc. Expect our pros to get the job done, from heating repair, AC replacement, to general HVAC maintenance. Give us a call at (256) 229-3009 for more information. You may also fill out our contact form to schedule an appointment. We serve residents of Athens and Rogersville, AL.